Don't have time to pore over one of the many fine guidebooks on hiking the White Mountain 4000-Footers? 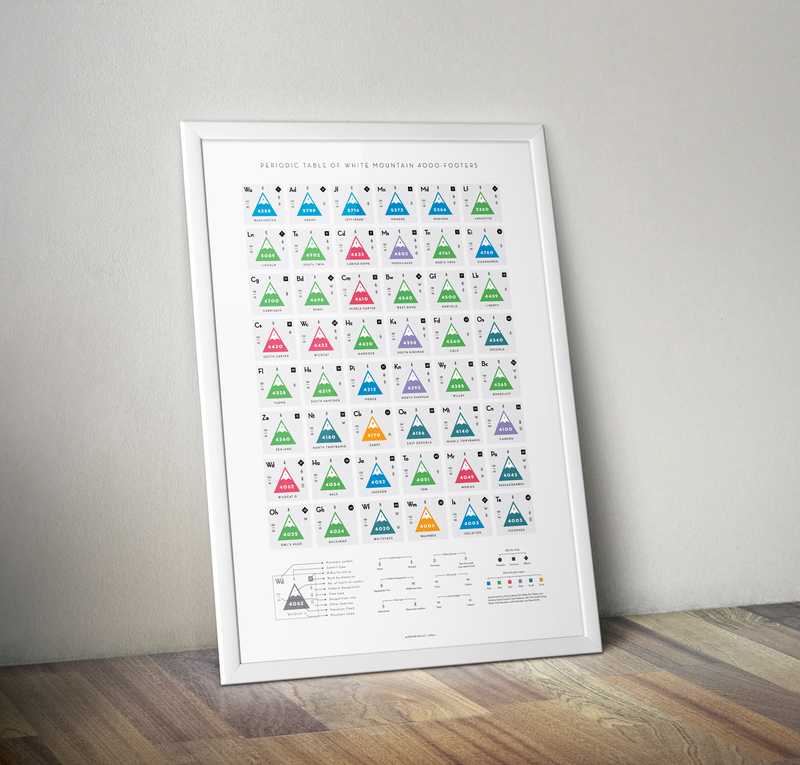 This poster is here to help, distilling a wealth of data on the 48 New Hampshire 4000-foot peaks in a format similar to the Periodic Table of Elements. 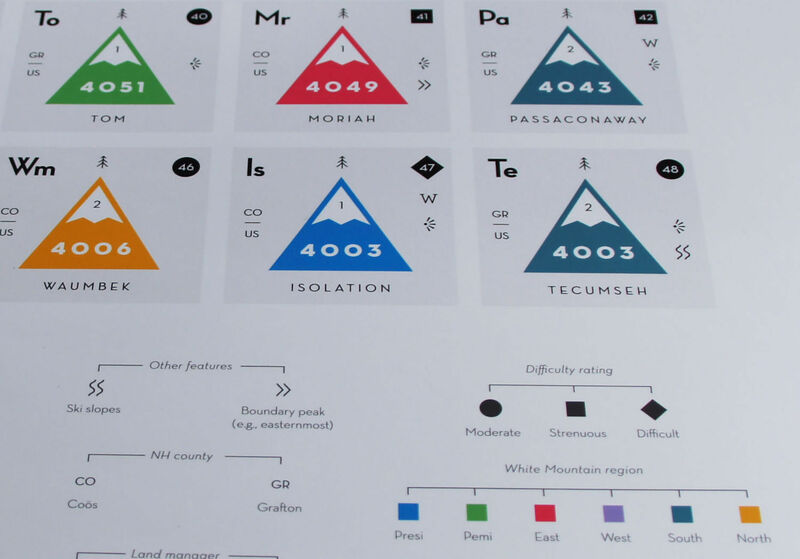 Given for each summit is a difficulty rating, elevation, elevation rank, # of trails at summit, view type, summit type, Federal designation, county location, land manager, region within the Whites, and more! 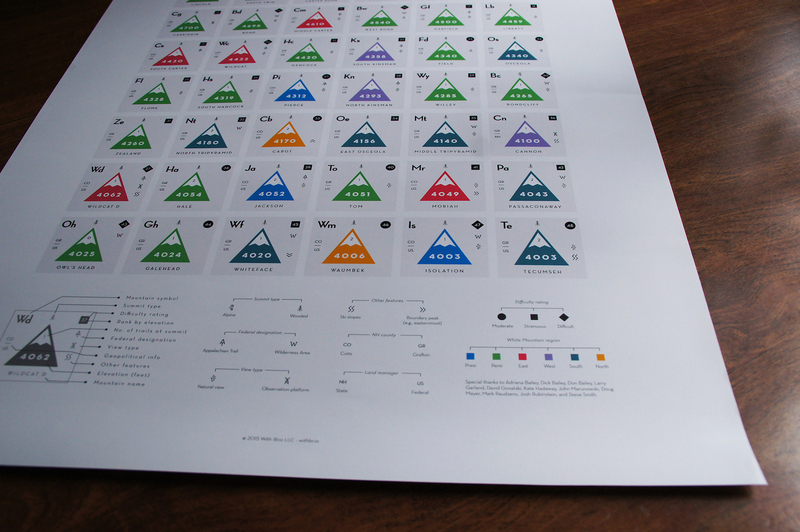 Offset-printed on 80lb paper with an endurance gloss cover.